Dental insurance is different than medical. It is designed to prevent oral health issues from developing in the first place, which is why routine cleanings and checkups are often covered in full. By preventing complications from occurring in the first place, such as tooth decay and gum disease, you will reduce your long-term costs for care. Even with the best preventive measures in place, your smile can still become damaged. 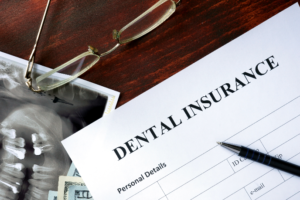 To quickly rehabilitate your dental health, your insurance will cover as much as 80% of restorative treatments. After paying your yearly deductible, you can harness this savings opportunity by choosing a dentist who is in-network. Your insurance will give you an allowable amount of coverage throughout the year to repair any issues. Unfortunately, this coverage will not carry over to the new year. You will lose it if it is not used, causing you to miss a large savings opportunity. Before they expire, you can make the most of any remaining benefits. If you have not visited your dentist twice this year for a cleaning and checkup, now is the time to use your remaining visit. 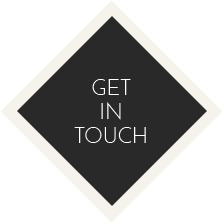 If an issue is found that must be treated, you can have the problem quickly corrected by using any remaining funds. If the treatment will exceed the amount of benefits that you have left, your dentist can split the treatment to perform part of it during this calendar year and finish it after your benefits have been reinstated during the upcoming months. You work hard to pay for your dental coverage. Do not let it go to waste. Contact your dentist today to use your remaining benefits before the year ends. They will work on your behalf with your insurance company to file the necessary claims and paperwork for reimbursement. To ensure that the care you need stays within your budget, they can split treatments and procedures to reduce the amount that you will have to pay out-of-pocket. Keep your teeth and gums healthy. Contact your dentist today to maximize your dental insurance. Dr. Bita Kamali is committed to providing affordable dental care to keep her patients’ smiles healthy. She offers the services you need to promote the health of your teeth and gums while working with your dental insurance to keep the care you need within your budget. If you have remaining insurance benefits, maximize their value today. Contact Parkway Vista Dental today to schedule an appointment.